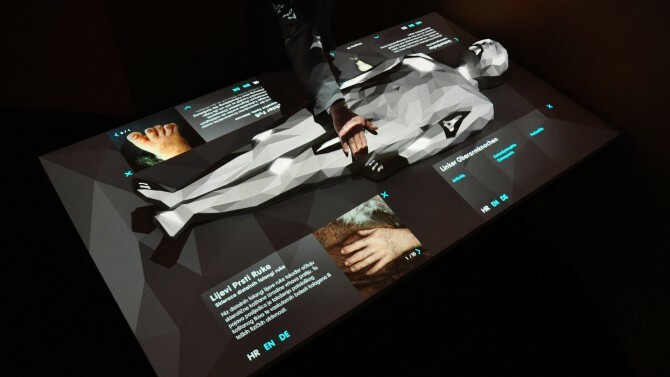 The Neanderthal Tools was a two-year research project funded by the European Commission and was developed with eight partners in five countries. 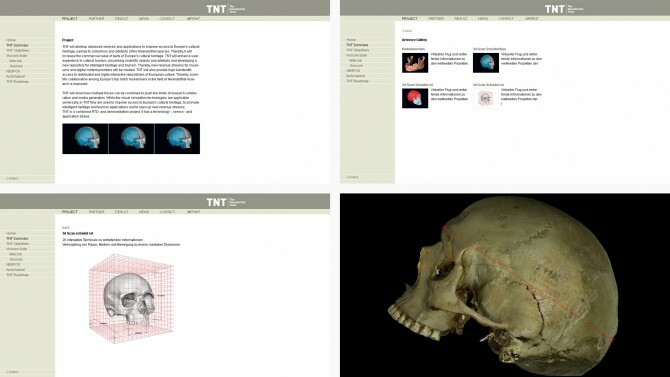 It links the European collections of Neanderthal findings and is essentially based on these elements: the purely scientific area with the database NESPOS (Nean­derthal Studies Professional Online Service) and the VISI­CORE Suite (Visual Simulation and Collaborative Rende­ring Engine), and the popular scientific area with National Geographic’s online portal ArchChannel. NESPOS is a scientific database enabling archaeologists and anthropologists to assemble their research results and ideas and to exchange them. The database is Wiki-based: users can read and edit information online. NESPOS helps to ameliorate the cooperation and the flow of data between European research institutes. In addition, ART+COM conceived and programmed special visualisation software, the VISI­CORE Suite. 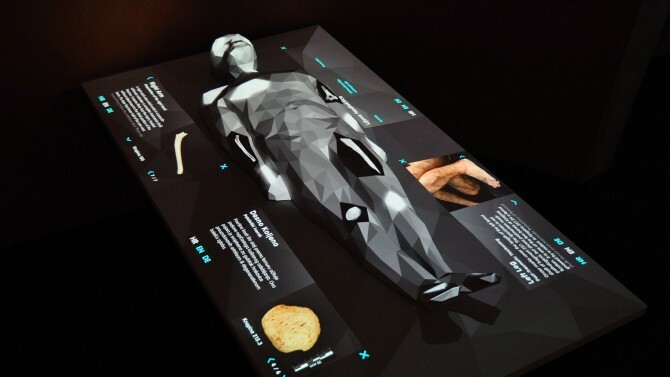 Its scope ranges from the exact two or three-dimensional representation of individual archaeological findings to topographies of entire excavation sites. 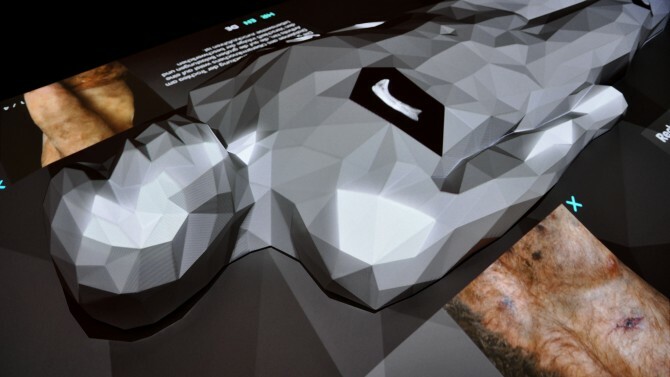 3D models in extremely high resolution allow for damage-free exami­nation of the delicate and irrecoverable pieces. The imple­mentation was accomplished in cooperation with the Hasso Plattner Institute. For users without a scientific background, National Geographic’s ArchChannel reveals palaeoanthropologi­cally interesting information and explains it in an easily understandable way.